Greetings to other Ranger owners! My name is Monty and I'm a now a Ranger owner. I'm an old guy who resides in Winnipeg Manitoba Canada, and just purchased a Ranger last week. I'm married, with an adult boomerang child and a menagerie of animals. I'm a huge hockey (Winnipeg Jets), baseball (Minnesota Twins) and football (Winnipeg Blue Bombers, Minnesota Vikings and Arizona Cardinals) fan. We like to travel, either by air or Interstate, and like to go to cities with NFL or NHL teams (preferably both!) and catch some games. I manage a small printing company, and have been involved in the graphic arts trade since high school, some 35 or so years ago. 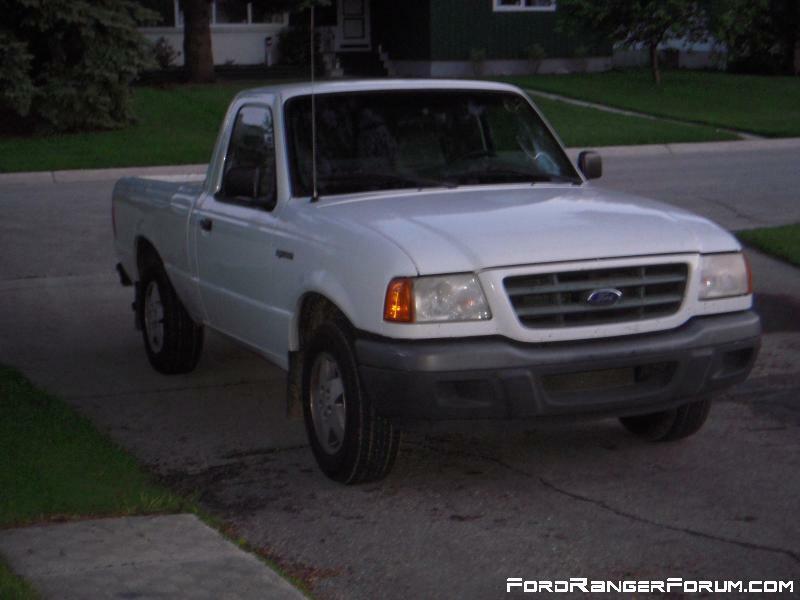 I just bought a 2001 Ranger "S", my ideal little truck. It's basically the fleet version, with the 2.3 Duratec 4 cyl. and 5 speed manual. It's super strippo, with vinyl seats, rubber floor, no options save for A/C. I bought it out of Arizona two weeks ago, and last weekend Mrs. Monty and I flew to Phoenix and drove the little truck back to Winnipeg, a journey of some 2100 miles (3300 kilometers). I spent a total of $242.00 in gas (we averaged 32.94 MPG! ), and other than 3/4's of a quart of oil, the little truck used no other fluids on the return trip. It was awesome! It's already earned a family legend name of "Highway Star" - we drove through a sand storm in northern Arizona, snow in the Vail Colorado mountain pass, a downpour so bad in Nebraska that we had to seek shelter under an overpass on the Interstate and winds gusting up to 50 mph through Iowa and South Dakota. I'll post a photo or two as soon as I figure out how to do it. Last edited by WpgMonty; 06-03-2012 at 03:31 PM. Re: Greetings to other Ranger owners! Welcome to FRF Monty, there is lots of info here from good people that have done it all, and fixed it all.